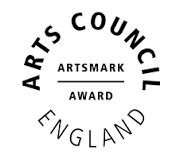 Home›News & Events›We’re an Artsmark Supporter! Sound Connections were very fortunate earlier this year, with funding from Arts Council England, to become an Artsmark Supporter. We are one of number of projects, working with Arts Council England and the local Bridge organisations (in our case A New Direction), to explore how we could support schools and cultural organisations better understand the new Artsmark scheme. Recently relaunched, and more importantly now designed by teachers, the new Artsmark award helps schools to deliver a high quality arts and cultural education and provides a tangible way to demonstrate this. In addition, Artsmark schools gain access to resources as well as networks of cultural organisations, helping them develop and strengthen their arts provision. Sound Connections was therefore ideally placed, with its already strong links with schools and cultural organisations across London, to take on this role and look specifically at how Music Education Hubs and music organisations could support schools on their Artsmark journey.